Yesterday I took the train into rainy Osaka and checked out the Osaka Aquarium. It was incredibly crowded due to the rain, plus it was Sunday, plus... well, it's Japan. Crowds everywhere. It was a pretty cool aquarium. It's laid out so there is really only one direction of traffic, which makes sense because, otherwise, it would be like Costco with everyone pushing against each other and me tearing my hair out trying to go around people. One of the more impressive tanks housed the giant whale shark and a huge manta ray, which shared the same big tank, but were separated by a fishing net. Not sure if it was because they are enemies or had some kind of difference of opinion or what. While most people spent their time ooohing and ahhing over that tank, which covered three floors of the aquarium, I spent about 20 minutes just staring at a much smaller tank that housed 2 sea turtles. They looked so happy! Can turtles look happy? Something about their little beaks looked like they were smiling. And so it struck me: sea turtles live a pretty sweet life. For one, turtles live forever. Okay, that's not true, but relative to a human life, they live an awfully long time. They must have pretty low blood pressure, too, because they're never in much of a rush to get anywhere. That must be what contributes to their longevity. Secondly, turtles don't have to worry about anything. Unlike most sea creatures, they don't really have any predators. If they are able to make it to sea as little hatchlings, then they are pretty set! The greatest predator to the sea turtle is man, but man preys on everything because we are terrible like that. So, they don't have to worry about being killed, and they don't have to worry about some tragic natural disaster taking away their homes, either. Case in point: on the left you see that the sea turtle always has his home with him. He doesn't have to worry about someone breaking in, he doesn't have to worry about paying the mortgage on time, he doesn't have to worry about an addition to the home when the babies come, because they're all born with their own homes, too. So, in that sense, he never has to worry about his kids living at home forever, or, even worse, the dreaded "boomerang" effect where the kids go out into the world, only to return home after an unsuccessful stab at college and gainful employment. Plus, his house is pretty badass. A sea turtle also doesn't have to deal with other annoying animals. There probably isn't anyone being obnoxious in the public ocean that makes him roll his eyes, or family members that show up drunk to his cousin's wedding and tell embarrassing stories. They never have to make idle conversation at a party and nod politely at a boring story. They never have to bother thinking of an excuse of why you don't want to look at the slides from their trip to Missouri. If he ever runs into someone he knew from way back whom he doesn't want to pretend he didn't see, he probably just slowly turns and swims away, but not in a way that says "I'm being rude," but more in a, "Gee, I'm really busy, let's catch up some other time" kind of way. Cuz he's really casual and chill like that. Sea turtles also seem to have some really cool little friends. Aside from other fellow sea turtles they get to hang out with little guys like this puffer fish on the right. He's super cute! I know they are probably just in this tank because that is how the employees at Osaka Aquarium arranged it, but I bet they pal around all the time in the open ocean! It would be pretty cool to have a neighbor like that to borrow a cup of seaweed from. Another bonus of being a sea turtle is that everyone loves them. Seriously, I have never met someone who said, "I hate sea turtles." You know why? Because they're not bullies (ahem... greatwhiteshark...ahem), they're not gross looking (yeah, sunfish, I'm looking at YOU), and when they are babies they are very cute. 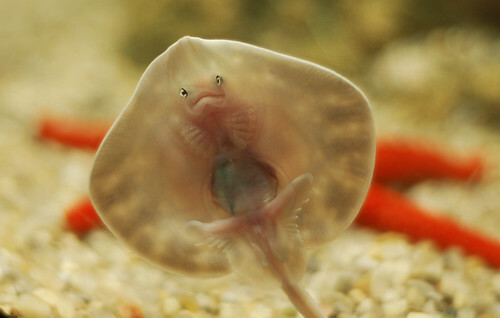 Which you really can't say about other baby sea animals. I think the stock for sea turtles also shot up when Crush the sea turtle was portrayed as a laid-back hippie/surfer dude in Finding Nemo. Turtles also get to swim all day long. Which is one of my favorite things to do. I really can't elaborate much on that statement, other than to say swimming is really awesome, and having the ocean at your swimming disposal is a pretty neat deal. And my final point for why sea turtles live a lucky life: they have abs of steel. Or shell. But you know what I mean. They have chisled rock-hard abs, without ever having to do a crunch a day in their life. Have you ever seen an obese turtle? (I just tried Googling it, and the answer is no... and I recommend not Googling that yourself, because you will see some disturbing non-turtle-related pictures...) Anyway, they are all in shape and healthy without even trying. If everyone could be that way, I'd have saved hundreds of thousands of Yen on my YMCA membership! Basically, I have come to the realization that this awesome animal is one of the more underrated in the ocean. Sure, dolphins can do all sorts of tricks and otters are super cute when they clean themselves after eating, but stop and consider my points on the charmed life of a sea turtle, and you are sure to agree with me! I have a feeling my next trip might be going to the Galapagos Islands and rescuing some turtles. Maybe I'll sneak one in my bag on the way home? Sounds like a plan. Your writing in this post was beautiful...a work of art. Loved it! Geez! I've missed your blogs...for a while there I thought you've given up your journal entries. That was quite a cute assessment of a sea turtle's life. Write a children's book about a sea turtle character! It'll be a sell out! I'm glad your entries are back...and I'm super happy you're OK!!! I wanna be a sea turtle! You'd never have to pack for a big vacation, book a room or worry about missing a flight. And Erica Reyes would write a really cool blog about you. How awesome would that be!? 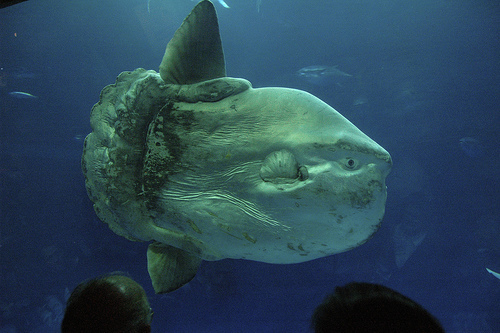 Also, the sunfish link made me laugh.